Breast cancer for the most part (early) does not bring about side effects. This is the reason customary examinations are vital. The vast majority feel that the vicinity of bumps at the early stage is all expected to set up that there is bosom growth. In any case, at times irregularities may not be available; but rather there would be different markers that may recommend the vicinity of bosom disease. Read also: Diabetes, Food and Diet. These are five early signs that may be markers of breast cancer. 1. Vicinity of a protuberance that feels unique in relation to whatever is left of the bosom tissue, and as a rule does not sting. More than 80% of bosom growth cases are found when the lady feels an irregularity. Knots found in lymph hubs situated in the armpits can likewise show bosom disease. 2. Change in the size, shape, or feel of the bosom or areola. 4. Change in how the areola looks, for instance pulling in the areola. 5. Liquid originating from the areola, may be wicked, clear to yellow, green, and look like discharge. Read also: BENEFITS OF PLANTAIN. #Note: Men can get bosom malignancy, as well. Side effects incorporate bosom protuberance and bosom torment and delicacy. Previous article Art by C. Azuakor. Next article lets get SOCIAL like we never did before..
thanx alot dearie… for d design i had to mk it simple for u n oda visitors too… am glad you noticed..
you are always welcome Elena. please do look out for this… and am glad you feel the need to this post. Thanks for sharing this. This is really informative. Thanks for sharing this! It's important to be aware of what to look for! very informative insightful article. Blessings! Interesting read. Thanks for sharing this informative article. Sisters of my grandma had breast cancer. They are all well now, but still, there's a risk for their families. It's important to know your body and notice any change. I am a bit hypochondriac, but prevention is just important to me. It's a fact that men can have it too, it's nothing to be ashamed of. Well said Borka. My heart Is with you all. And yes its not something to be ashamed of. This is a very important subject that needs to be talked/written about it could save lives. Your post was very informative. Important issue! Good you are always talking about things like that! Thanks Julies. Health is Wealth. Such an important topic and one of the most effective diagnostic tools is knowing your own body. The earlier you pick up changes the better. Thanks for sharing this serious topic about health! Very informative. Thanks for sharing this informative post because there is a lot of crap out there and it's awesome to find some real stuff. Women of all ages should regularly check their breasts to make sure they're cancer free. Never knew men could also suffer the same fate! These are very useful tips. Early detection is key when it comes to cancer especially this one. I think it's good to have a check-up at least once or twice a year! early detection and regular check does it. Bosom Cancer rates became really worrying lately. 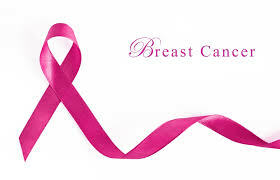 We used to hear about old women getting it before but nowadays, my city's CHU is full of ladies in their early twenties suffering from breast cancer, we even find some teenagers having it as well, that's why we should rise awareness about early screening and how can you examine yourself for early symptoms can be the key to decrease the frequency and brutality of this disease. early detection will save a life. thanks for stopping by Ou Ma. Breast cancer is common and it's really important to take note of the signs so that you can have yourself checked out. I really think it's good to have your doctor check your breasts on a regular basis, because early detection is easier to cure. Great information! This is such a common didease these days and I know two women both my relatives who have suffered breast cancer and survived from it. My Joy in hearing they survived it. Very useful information. All of us should be aware of this, much thanks for sharing!